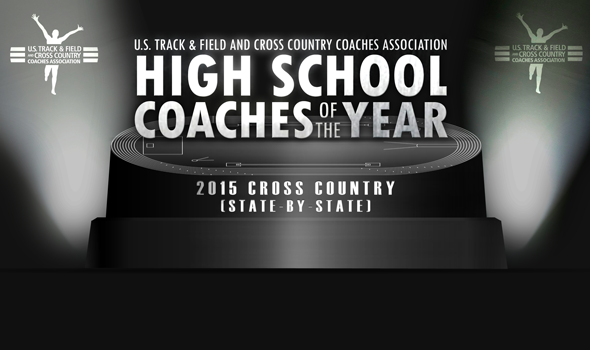 NEW ORLEANS – The U.S. Track & Field and Cross Country Coaches Association (USTFCCCA) announced Wednesday the state-by-state winners of its second annual High School Coach of the Year award for cross country. One boys coach and one girls coach from each of the 50 states and the District of Columbia – as seen in the lists below – were honored for their successes during the fall of 2015, as selected by a committee of experts from around the nation. The U.S. Track & Field and Cross Country Coaches Association (USTFCCCA) is a non-profit professional organization representing cross country and track & field coaches of all levels. The organization represents over 9,000 coaching members encompassing 94% of all NCAA track & field programs (DI, DII, and DIII) and includes members representing the NAIA and NJCAA, as well as a number of state high school coaches associations. The USTFCCCA serves as an advocate for cross country and track & field coaches, providing a leadership structure to assist the needs of a diverse membership, serving as a lobbyist for coaches’ interests, and working as a liaison between the various stakeholders in the sports of cross country and track & field.